Good news: I am going to 2 Folsom on Tuesday!!! Gap HQ that is.. Yes I am a totally dork and am SUPER excited about going to Gap HQ on my vacation.. My DM always tells me "I bleed Gap blue" I suppose this is a testament to that!!! 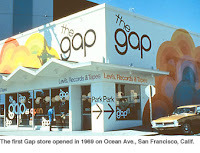 Bad news the first Gap Store Location on Ocean Avenue in San Francisco no longer exists. The photo above is of the 1st retail store. 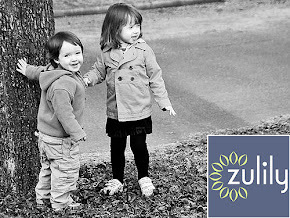 The photo below shows present day. The location is a Pentecostal church and school. Back in 1969 it was the El Rey theater and in the retail space just to the right was the 1st Gap Store. For an accurate picture of what the first Gap store location looks like today, do a Google Maps search for the intersection of Ocean Avenue and Fairfield Way in San Francisco, CA and look at the street view.